The International Council of Shopping Centres (ICSC) has announced that its annual trade show RECon will stay in Las Vegas for two more years at least. ICSC’s new contract begins in 2018 and has the option for a three-year extension, which would see the trade show hosted in Las Vegas until 2022. Tim McGuinness, vice president of global trade expositions at ICSC said: "We are excited to keep RECon in Las Vegas, where it has been every year since 1986. We look forward to continuing to work with the LVCVA to ensure that our members and attendees have the greatest conference experience possible." Rossi Ralenkotter, CEO of the Las Vegas Convention and Visitors Authority, said: "This was a very competitive process and Las Vegas rose to the challenge with our resort partners working together to show why we are the number one trade show destination in North America, and how we intend to stay on top through continual reinvention and the development of the Las Vegas Global Business District." 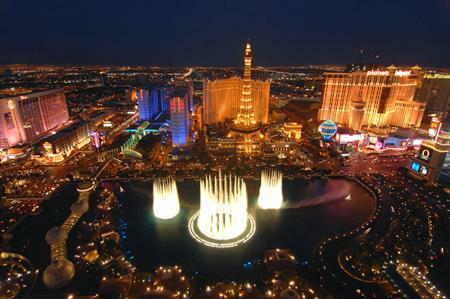 The 2015 RECon show will be held on 17-20 May at the Las Vegas Convention Centre. Future shows will likely be held in the new exhibit halls of the Las Vegas Global Business District.